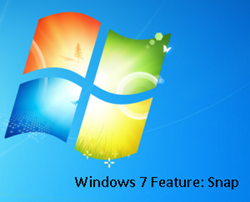 What is Snap Feature in Windows 7 and How Does It Work? Windows 7 brought with it a host of new features and improvements in old ones. When Microsoft began developing Windows 7, it wanted to change the way users interacted with their desktops. That mindset created the Aero desktop experience and several features came out of that project. One of these features is called Snap. 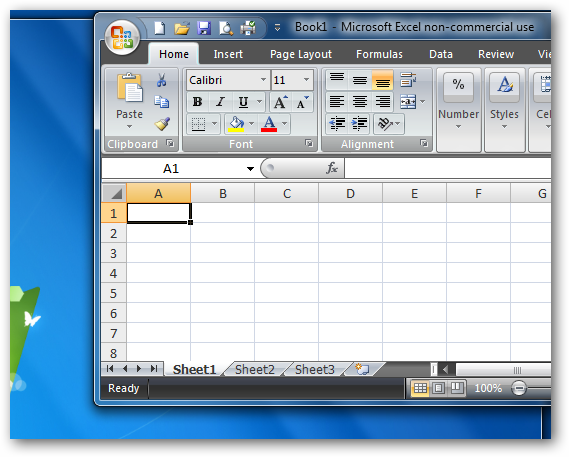 Windows 7 Snap changes the way you resize open windows on your desktop. By dragging a window to the edge of your screen, it will allow you to maximize it, stand side-by-side or stretch it vertically. Snap works on all versions of Windows 7 and can take some time to get used to, let us take a look at how it works. The quickest way to see Snap in action is drag the title bar of an open window (which isn’t maximized) to the far left or right side of the screen. You will see bars come out from the sides of the window, simply let go of the window and it will “snap” and maximize to take up the whole screen. If you drag the bar again, it will bring the window back to its original size. You can also use the Windows logo key on your keyboard and the Left Arrow key to move the minimized window around the screen to a new position. If you double-click a window that is not maximized, it will maximize it for you based on how Windows utilizes the Snap feature. If you hold down Shift and then right-click a window on your taskbar, it will open it on top of whatever else you have opened in a minimized window. You can than drag the top bar to maximize that window and make it your focus. You can also use the Snap feature to open windows vertically. 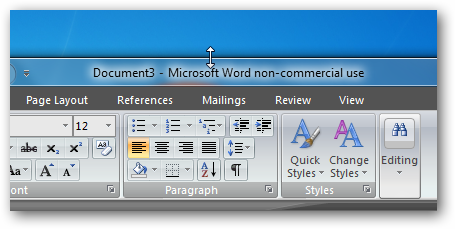 You want to position your mouse at the top or bottom of a minimized window until you see a double-headed arrow appear. Once you see it, you simply pull the page up or down and it will align itself vertically. Windows Snap will work with most programs and windows you open on your computer. However, if a program has custom window permissions, you will most likely not be able to use Snap with them. If you are trying to use Snap and find you cannot get the window into place, chances are you are working with software that will not enable you full access to this Windows feature. 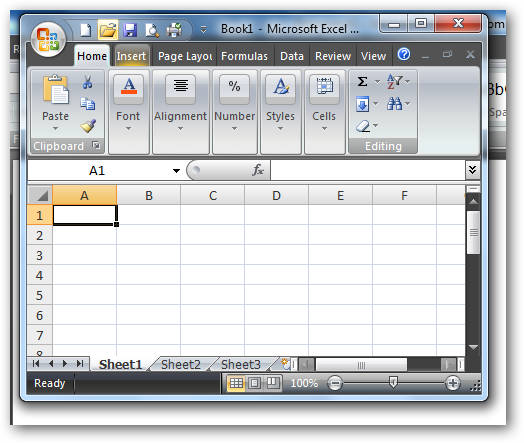 Does Snap work well for Windows 7 users? It can take some time to get used to the features of Snap and most users are introduced to the feature after they get frustrated moving a minimized window around the screen. If you take the time to learn how Snap works and begin using it, it becomes much more user-friendly. Snap can benefit users who are working with a large monitor or more than one screen, because it allows them to have more control over how multiple programs, windows and more are open and laid out on the desktop for them to use.